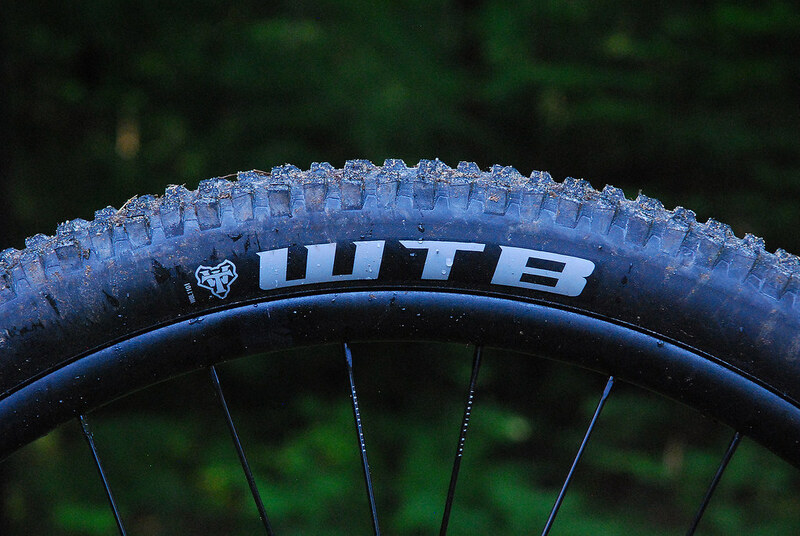 A while back I was contacted by Will at WTB with a simple question: “IF I send you set of 40mm Nano’s, will you try them out and report back?” My simple answer was “HECK YEAH I WILL.” This led to other things headed to 44HQ which include WTB’s Trail Boss Tires. See, when I first started building bikes of my own, it was with the express purpose to compare 26″ with the “newer” 29″ standard. 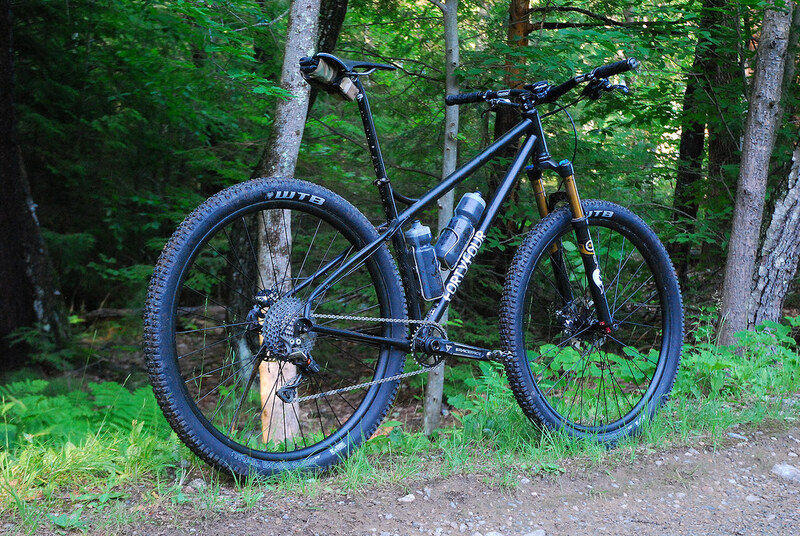 I always felt that 26″ was just a hair bit too small for me (I stand 6’1″ on a good day), so as the 29″ standard started to become more widely available, I ironically just started to build my own bikes and hence that is the direction I wanted to experiment with. And during that time, pretty much the only game in town were WTB Exi-Wolve’s in 2.3″. What impressed me about WTB’s tires were the compound, how I could run a little less air pressure with the wheel size for more traction and comfort but also how fast the tires rolled without giving up much in the grip department. Granted, the knobs on the tire were on the smallish side, but the tires rolled fast and I was really happy with them. So for years that’s all I ran was WTB. When I upgraded a set of wheels I wanted to try out tubeless, and with tubeless comes all the different tubeless standards. Unknowingly, I went with Stan’s ARCH EX 32 hole rims. These, unfortunately, are not compatible with WTB’s tubeless tires (TCS specifically, which stands for “Tubeless Compatible System”). Basically it has to do with the bead seat diameter and different company’s create tubeless rims/tires based on different systems. Stan’s rely’s on a slightly larger rim sidewall, while WTB’s aligns itself with the standard of the ETRTO / ISO tubeless diameter standard which is based on the UST standard. Stan’s as I mentioned above, makes their rims just slightly oversized… so the two just won’t work together. Well I suppose they will, but that is IF… IF you can get the tires on which may land you a few broken tire levers in the process or maybe even shedding some blood. So! With this new wheel change in hand, it was time to mount up the tires. I9’s rims are compatible, but honestly, the tires went on tight as there is no “well” for the beads to rest inside – the inside of their rims are a smooth concave transition from center up to the bead seat. Honestly, I have to say to the industry at large: Make up your mind and deliver the standard based on ETRTO / ISO tubeless diameter standards and stick with it. Create a well in the center of the rims so tires go on easily with a nice smooth transition up to the bead seat but SNAP up and in to position. Share the same standard throughout. Compatibility is key. And last I checked you can’t ride your bike without tires and giving the rider the full suite of choices would be good for you and good for everyone. Off the soapbox now and back to the tires… With a system figured out, the tires snapped in to place after I removed the valve to give myself JUST a touch more room. Now with valve reinstalled, and core removed, sealant was added using an injector. The tires themselves aired up as one of the most easily inflated tubeless tires I’ve had my hands on using a floor pump only. Took a few tries over the weekend to get the tires to stay inflated over night over the course of a weekend, but once the sealant was properly coated inside, things stayed aired up nicely. Graphically speaking, the logo’s are a nice light gray. So for those out there looking for color hook ups and build aesthetics… these tires don’t draw attention and will compliment a wide array of build choices from a visual perspective. From a tread design perspective, the knobs are meaty without being too meaty. They are slightly closer and have some siping to the knobs to open up the tread and create more surface area for traction. Side knobs stand just proud of the sidewalls on these 23.4mm wide internal width rims from Industry 9. Front tire is a good 2.4″ width while the rear although stating 2.25″ actually fills out to be every bit of a 2.3″ wide tire. 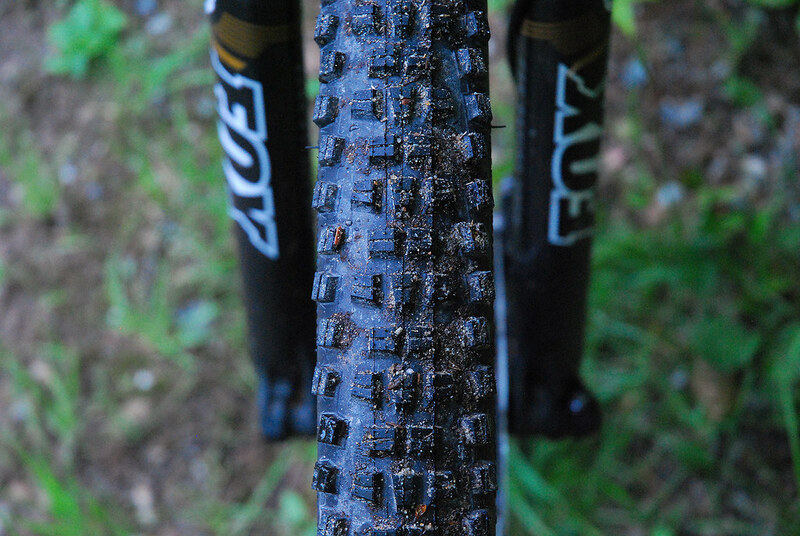 One thing I was really excited about was this tread pattern compared to what I typically run out back: a Schwalbe Nobby Nic. The one big problem with the Nobby Nic is that the tread pattern has some large open spots in the pattern. I’d say I’ve patched this tire on both of my mountain bikes at least 2-3 times so far from punctures that the sealant would not close up. That large dead spot just loves to get struck by the granite around this neck of the woods. I typically have been running a Schwalbe Hans Dampf up front (2.4″), which according to my opinion, is most likely one of the best tires I’ve run up front. So the Trail Boss’s had their work cut out for them and to my enjoyment, excelled beyond what I was expecting. First ride out was just after a heavy rain storm on a hot, muggy afternoon. Most likely one of the worst places to start on a completely new set of tires and wheels beneath you. The Trail Boss’s were put to the fire immediately. 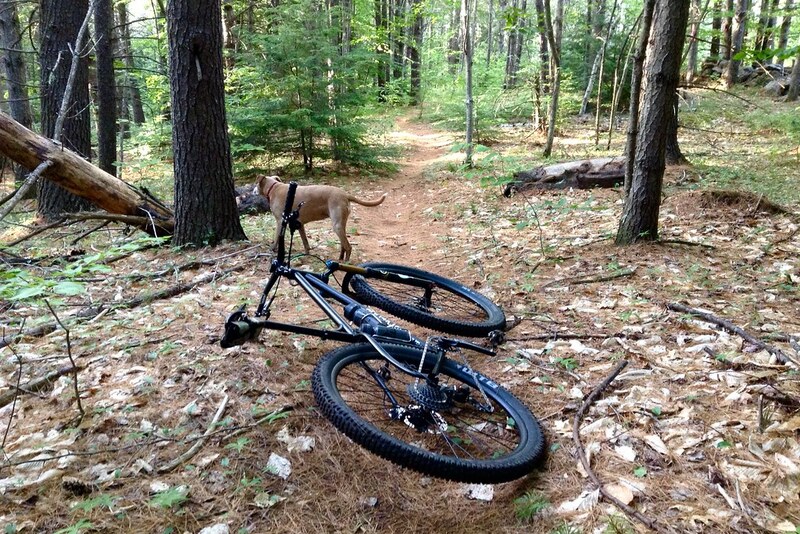 Grip was really good but the ride to the trailhead was even more enjoyable with a fast rolling tire beneath me. I didn’t realize just how much the other tires were soaking up forward momentum honestly (well I did, but took traction over rolling resistance). One thing I did notice was that these tires like to be perpendicular to the ground when it’s wet and slippery. I was also moving a bit slower too due to the humidity, but I noted early on that getting any kind of lean on these tires when the going was slippery/slimy and the tires started to move beneath you. Keeping the bike horizontal kept the tires hooked up (and many others do the same). But all the technical sections were cleaned first try. All the climbs were burn out free. All the corners hooked up and dug in. All the descents were skid free. Basically, out of the gates I was stoked on these tires. There was one spot in particular I was wondering about. Basically you come up and over a bridge that straddles a gap between two tree’s and a large rock. Maybe 3-4′ up in the air, on an incline. You roll up and over a rock, on to the bridge and down into a rock and root infested bowl. The secret to this line is to stay up on the roots (they’re fairly big) and dance across the rocks before you need to squeeze your bars between two trees and you’re climbing a short, punchy hill that goes into a nice roller. The Trail Boss’s didn’t skip a beat. Bridge, roots and rocks all were danced. Line finished. No second guessing or feeling sketchy. If anything I was sketchy and the tires were waiting for me on some of the ride. Almost like I was anticipating sketchiness to happen and it just did not happen. And on a wet, muggy, slippery day… these tires inspired confidence. Next ride was again after a storm with similar results. Last night’s ride was basically on a good mix of rocks, roots and hard pack with some loamy miles mixed in there as well. 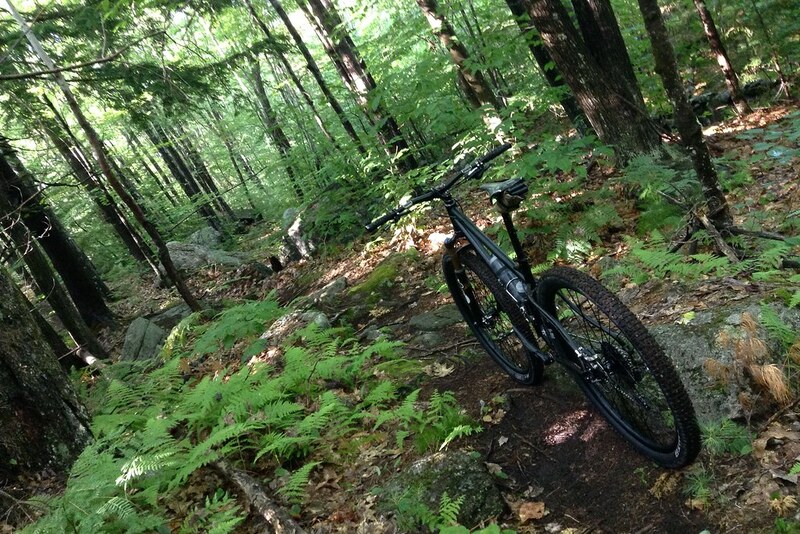 Hero dirt possibly… 3rd ride out and I have to say I’m loving these tires. One thing I wasn’t necessarily struggling with but perhaps chasing my tail fine tuning was the tire pressure. I’d add some, let some go, then let too much go or add too much. Never really finding that “just so” feel. The wheels truthfully are WAY stiffer than what I am used to. That is true. So finding that sweet spot was a challenge. Last night I aired them up, let a touch out on the trail and found the sweet spot. I came home and immediately put the pressure gauge to them as a reference. Both front and rear were 12psi? I’ll make sure that is where it’s at at the next ride just to make sure that is accurate.. but that’s what I ended up running if you can imagine that. There’s some additional tires on their way from WTB to try a few different combinations for front and rear. I was running the 2.4 up front and the 2.25 out back. Would be interesting to run both 2.4 up front and in the rear. I’m really looking forward to putting these tires and others to the test as the summer stretches out. But my initial impression after a handful of rides is that I am impressed. Really stoked on how these tires roll though. They’re aggressive but roll fast so they seem to have a good balance of what I refer to as a good trail tire or basically in my head: they’re tires for mountain biking. Will said that the tires will stretch a touch as they are ridden and I’m starting to see them fill out a bit more after each and every ride. Tonight’s a gym night (curls of the girls as they say, or maybe Muscle Beach..) so I’m looking forward to Friday’s ride after work. So happy to be back on WTB tires. More soon but till then, hope everyone is enjoying their summer and riding as much as you can.